Rebel forces in eastern Ukraine announced a unilateral withdrawal of weapons of caliber less than 100 mm from the line of engagement. Militias in Lugansk say that they have pulled back all weapons of less than 100 mm caliber from the front line to a distance of at least 3 kilometers from the frontline, excepting the area around the village of Schastie. “All commanders have reported the withdrawal of equipment. Therefore all tanks, APCs, MT-LBs which carry antiaircraft emplacement, and other less than 100 mm caliber arms have been pulled back,” the militias told LuganskInformCenter. The authorities of the fellow self-proclaimed Donetsk People’s Republic (DNR) announced a similar move, adding that monitors of the Organization for Security and Cooperation in Europe are witnessing the redeployment. DNR spokesperson Eduard Basurin said that the militias withdrew more than 40 tanks and 80 infantry fighting vehicles on Sunday. 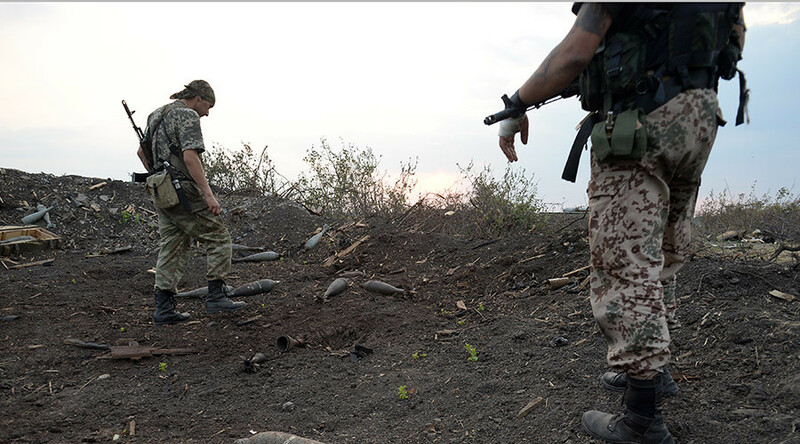 Kiev authorities, however, say they doubt that the rebels are actually pulling weapons back. “They say one thing and do the opposite,” the Ukrainian presidential administration’s spokesman for the military operation, Aleksander Motuzyanik, told RIA Novosti. The information that East Ukraine self-defense forces from Donetsk and Lugansk are ready to pull back their smaller weapons emerged on Saturday. "We are ready to make the next step towards peace. For that, [we are ready] to pull back our units with tanks and armored vehicles, equipped with weapons under 100mm caliber, to at least 3km (1.9 miles) from the front line,” a statement from the rebel forces said, as cited by RIA Novosti. The latest unilateral step from eastern Ukrainian anti-Kiev troops comes despite previous violations by Kiev authorities of agreements by both sides to withdraw heavy weapons. Some volunteer units, such as the Aidar Battalion refused their government's orders to leave their positions in the conflict zones, with more heavy fighting erupting.